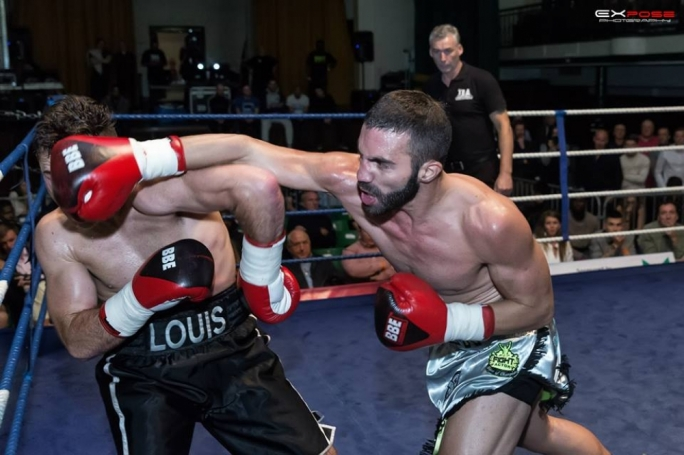 Richard Vella, Duncan Calleja, Noel Lebrun and Nico Sciberras represented Malta at the Independent Boxing Association Championships which took place at the historic boxing venue ‘York Hall’ in London, England last Friday. 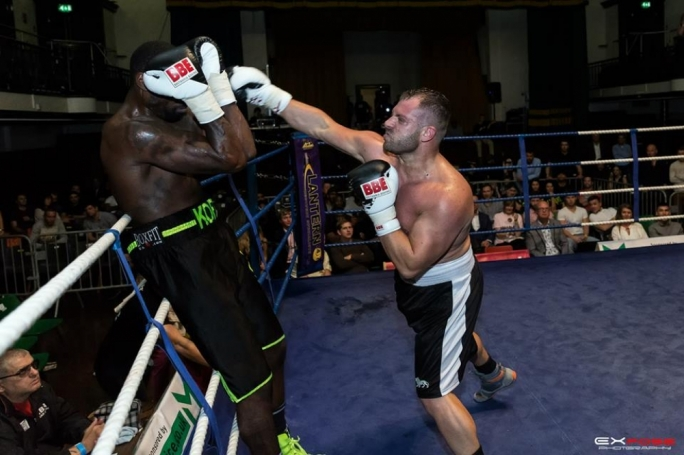 Richard Vella faced IBA’s ranked number one contender Louis Nichol for a 6 x 2 IBA International Middleweight Championship title bout. Vella won by a unanimous point’s decision to become the new IBA International Middleweight Champion. Vella was awarded the best boxer along with the honour of best fight while Noel Lebrun faced Mark Koffi for the Cruiserweight version of the Championship title. Lebrun who is coached by Michael Brown, rocked Koofi legs in both the first and second rounds and following an all-out effort in the second round saw Koffi remain seated on his resting stool as he was called out to the third round by the referee. His coaches retired their boxer. In a breathless bout, Duncan Calleja lost on a spilt decision against Joe Hurn which saw these two fighters get a standing ovation by the London’s boxing fans while Nico Scibberas boxed Vince Lynes narrowly losing in a restricted 3x2 minute novice supporting bout. 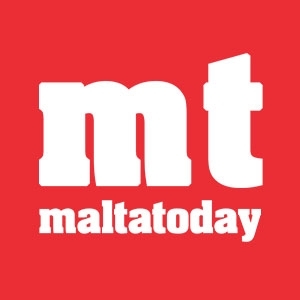 The President of the Malta Boxing Association Michael Bonello congratulated the team on their return by saying; “Your representation of our country in London has been nothing but of the highest standards while exceeding all expectations. We take this opportunity to thank you for your commitment to the sport as well as the Association. You must be highly content with this experience as you have undoubtedly worked very hard to achieve this”. The training camp leading up to the Championships proved to be a great success and an excellent learning experience for local fighters as they continue to improve and enhance the technical level of the sport under the experienced guidance of Steve Martin (WBF World, Intercontinental & International Welterweight Champion), Christian Schembri (Sparring Partner), accompanied by Demis Tonna (MBA-Boxing Malta, Senior Vice President) while the entire event was made possible by the help of Mr. Allen Mortlock as well as the Independent Boxing Association.